The shortwave radio has a history stretching back to the beginning of the 20th century. Reflecting shortwave’s community ethos, the technology was actually discovered by amateur radio enthusiasts, with the first successful transatlantic transmissions coming in 1921. The next year, hundreds of enthusiasts in North America had their signals heard all the way over in Europe on what’s known as the medium wave band, which is the shortest amateur-available wavelength. Going the other way, European signals reached about 20 North Americans. The year of 1922 was also important, as it was the first in which two-way communications (think telephone back-and-forth) were heard, when transmissions were made between the North American mainland and Hawaii. By 1924, amateurs were establishing trans-ocean contacts at a length of nearly 10,000 km. The first blasts of radio transmission came on the scene shortly after, care of oft-credited radio inventor Guglielmo Marconi. But the spread of shortwave transmissions continued growing, helped along by a shift in transoceanic communications from costly undersea cables to above-ground radio and shortwave transmissions. While medium- and long-wave radio, with its higher fidelity better suited to music, became the dominant over-the-air communication method in the decades that followed, shortwave radio has continued to be a focus for hobbyists (also known as ham radio operators), they’re not the only ones who continue to tap into shortwave. Due largely to its wide-ranging accessibility and ability to reach distant corners of the world, shortwave is still used for international broadcasting by governments, who target foreign citizens with it to spread propaganda or culture. It’s also used domestically to reach areas not serviced by radio, especially by smaller groups such as alternative media. And they’re even used by spooks and political subversives. Clandestine stations see political groups, such as rebel movements, transmit messages, while so-called numbers stations allow spy services to send out encoded messages to operatives in the field. 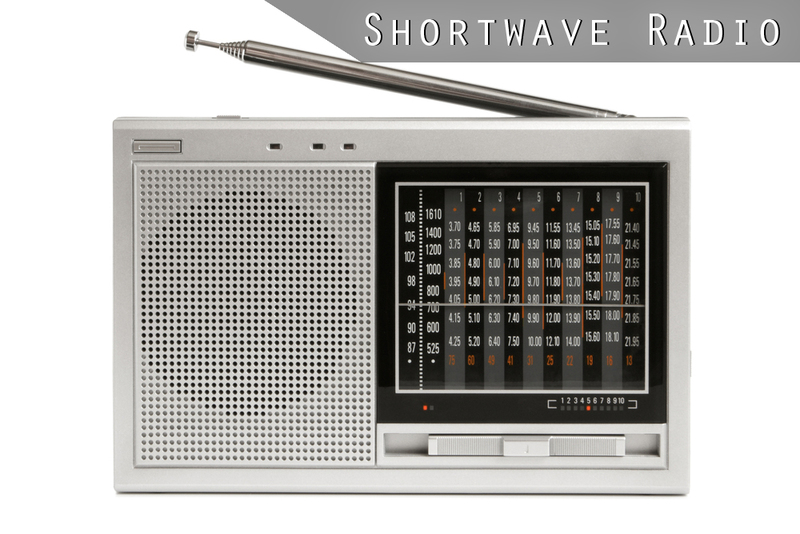 The shortwave radio has come a long way but it’s still got a lot of life left in it.